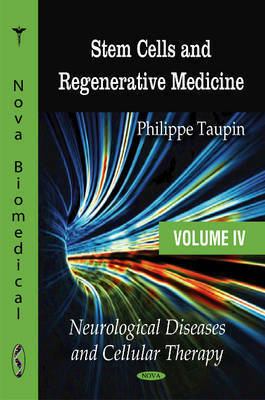 This book aims at providing an overview and in depth analysis of recent developments in stem cell research and therapy. It is composed of recently published review articles that went through peer-review process. Stem cells are the building blocks of the body. They can develop into any of the cells that make up our bodies. Stem cells hold a great deal of hope for the treatment of a broad range of diseases and injuries, spanning from cancers, diabetes, genetic diseases, graft-versus-host disease, eye, heart and liver diseases, inflammatory and autoimmune disorders, to neurological diseases and injuries, particularly neurodegenerative diseases. These include Alzheimer's and Parkinson's diseases, cerebral strokes, and traumatic brain and spinal cord injuries. Therefore, Stem cell research is as important for the understanding of the physio- and pathology of the body, as well as for the development and therapy, including the nervous system. 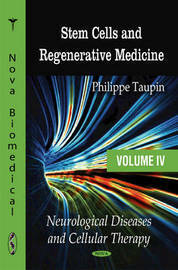 Volume IV provides an overview and in depth analysis of recent developments on the role and functions of newly generated neuronal cells of the adult brain in the physio- and pathology of the nervous system. It further emphasises the tremendous potential of adult neural stem cells, as a promising model, for cellular therapy and regenerative medicine.